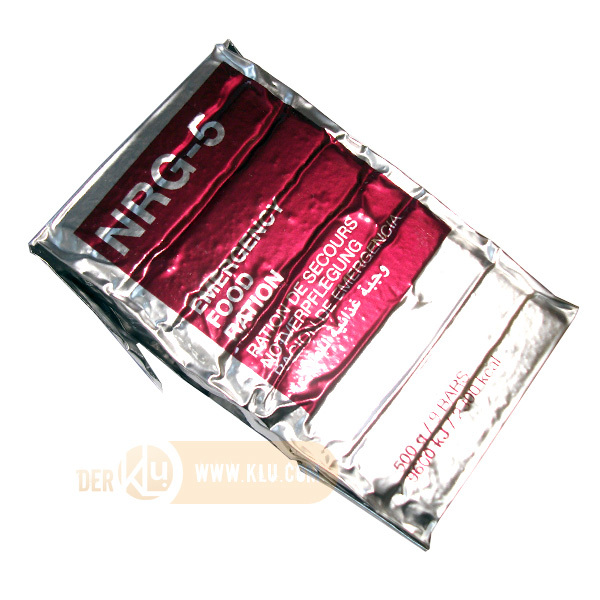 The perfect emergency food ration for your outdoor adventure, logistic problems, in case of natural disasters or outbreak of war. 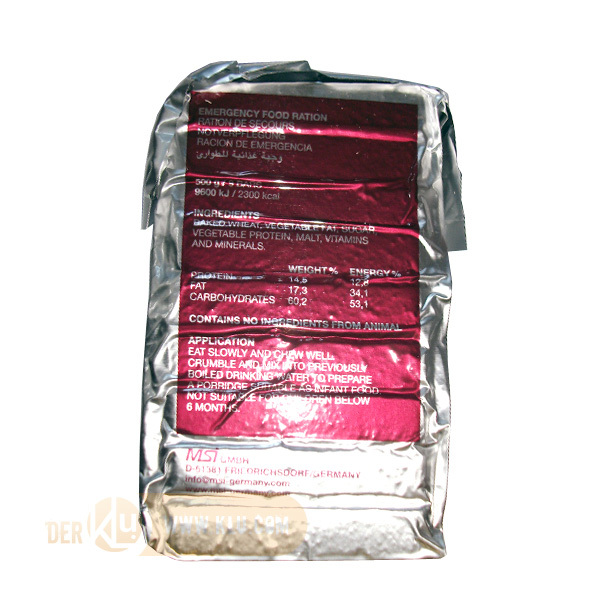 baked wheat, vegetable fat, sugar, vegetable protein, malt, vitamins and minerals. You can store it for minimum 10 years! 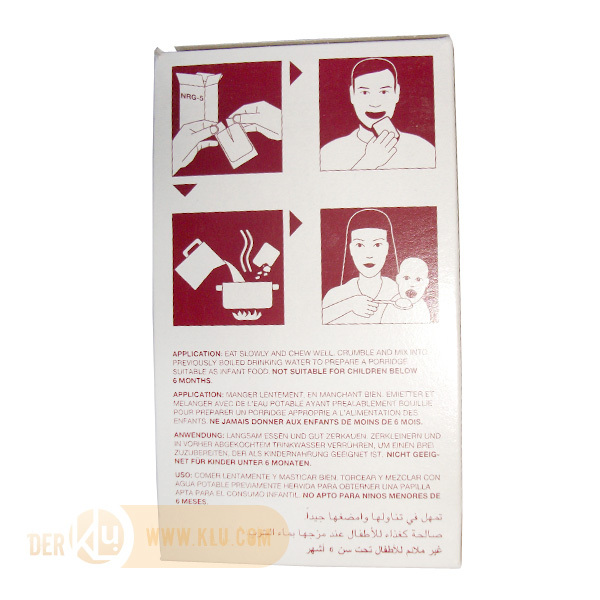 Contains no ingredients from animals. Not suitable for children below 6 months! 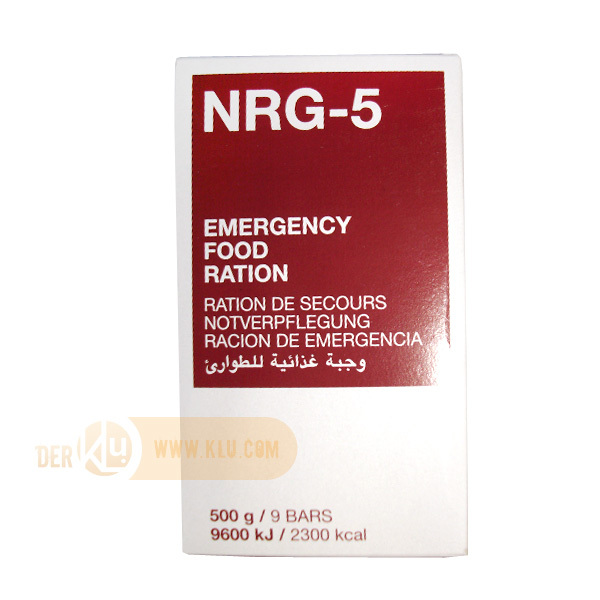 Related links to "Emergency Food Ration NRG-5 500g - 9 bars"
Customer evaluation for "Emergency Food Ration NRG-5 500g - 9 bars"